The authors have been collaborating on the Horizon 2020 research project Unsettling Remembering and Social Cohesion in Transnational Europe (UNREST) (www.unrest.eu). Memory studies as a “broad convergence field” (Erll 2011, p. 11), incorporating a range of disciplines in the humanities and social sciences, has in the last decade or so increasingly sought to free itself from the weaknesses of its “methodological nationalism” (De Cesari and Rigney 2014, p. 11). The myriad of case studies produced by researchers in the field, it is argued, has tended to focus exclusively on memory as a means of fostering the cohesion of the (national) group, drawing on theoretical sources from Maurice Halbwachs, to Pierre Nora and Eric Hobsbawm, to the early work of Jan and Aleida Assmann, in which the national community takes centre stage. This focus on the mobilisation of memory as a means to “promote a commitment to the group by symbolizing its values and aspirations” (Misztal 2003, p. 51) has two significant weaknesses: it tends to work with a “simplistic understanding of culture as a reified, clear-cut, territory-based concept,” while also condemning memory studies itself to endlessly articulate the link between memory and the nation (Feindt et al. 2014, pp. 24–25). Furthermore, this approach often tends to conflate the nation with the nation-state, largely assuming that the latter acts as a container of a homogeneous national identity. However, it is also the case that scholarly work and theorising on transnational memory activism is far from new (Schwelling 2012) and has been gathering momentum since Levy and Sznaider (2002, p. 88) argued strongly that the “‘Container of the Nation-State’ […] is in the process of being slowly cracked” and that memories of the Holocaust “provide the foundations for a new cosmopolitan memory, transcending ethnic and national boundaries”. While the transnational frame deserves our attention and the shift in focus is to be welcomed, it also carries with it certain pitfalls. First, as the editors and authors of the introduction to this special issue, Sara Dybris McQuaid and Sarah Gensburger, point out, moving beyond the nation can quickly become synonymous with moving beyond the state, focusing on transnational cultural practices and civil society activism at the expense of national or sub-national policymaking. The nation-state remains both the historically dominant form of political organisation (Albrow 1998, p. 107) and a key locus of policy-making in relation to questions of memory and heritage (MacMillan 2009, p. 4). Recent works have even questioned the cosmopolitanisation of memory with reference to the Holocaust. Thus Dreyfus and Stoetzler (2011, p. 74) have argued that Holocaust commemorations are usually “state-driven, politically motivated”, with state policies and interventions effectively counteracting their globalisation. Welch and Wittlinger (2011) have critiqued the cosmopolitanisation of Holocaust memory’s theory, arguing that it has to be understood from the perspective of the German national interest: “With that noxious material expelled from the national container, far from the container “cracking,” its refurbishment could proceed” (p. 50). Second, particularly in the context of a “cosmopolitan” memory project that promotes an allegedly universal remembrance of past atrocities as an antidote to the particularism of nationalist memory cultures (Cento Bull and Hansen 2016), memory studies has moved from a largely descriptive project towards a normative approach that seeks to promote certain kinds of memory culture as more likely to foster human rights and global justice (Sundholm 2011). This normative approach, which relies on supranational peacebuilding practices and parameters, as the authors of the Introduction point out, has important, though not necessarily benign, implications in post-conflict societies undergoing processes of reconciliation. In light of the above, the foremost value of this special issue is twofold. On the one hand, it lies in the recognition that, while the state still matters and continues to exercise a primary role in policy-making, its attempts to “administer” memory take place in a context in which memory is also conditioned by “the flow of mediated narratives within and across state borders” (De Cesari and Rigney 2014, p. 14), as well as by interventions from civil society actors at the local, national and transnational level. Work on the international politics of memory (e.g. Langenbacher and Shain 2010) has only just begun to get to grips with the ways in which transnational memory discourses are transformed within the national policy space. This kind of analysis can yield fascinating insights, as Linda Hasunuma and Mary McCarthy show in their contribution to this volume. Focusing on US-based campaigns in relation to the memory of Korean “comfort women” in World War II, an international relations issue fraught with diplomatic tensions between Korea and Japan, the authors highlight how it became transformed into a universalised human rights/sexual violence theme thanks to the transnational memory discourses and local memory activism of an inter-ethnic, pan-Asian American female alliance. Simultaneously, the campaigns successfully targeted local and even nation-level policymakers. Conversely, more work needs to be done on the ways in which national-level policy makers actively seek to co-opt such discourses to project national interests (Clarke et al. 2017). Jacco Visser’s contribution to this special issue is particularly interesting in this respect, in that he shows how national-level political actors can extend their reach outside state boundaries via links with diasporas and use extra-territorial spaces to project an apparently de-politicised national cultural heritage that belies deeper divisions about the past at home. On the other hand, what is particularly striking and especially welcome about the contributions here is their refusal to adopt a normative position in which an implicitly progressive transnational memory somehow transcends regressive national memory. As Lea David demonstrates in her contribution on Bosnia, attempts by international and supranational organisations to impose transnational memory discourses, in particular the cosmopolitan focus on victims of past abuses, into the national space can be anything but progressive, as they harden ethnic divisions and stances as well as reifying the oppositional categories of victims, perpetrators and bystanders. As David points out, memory is closely aligned with the experience of ontological security, not just at the individual, but also at the state and supra-state levels. As she demonstrates, the ontological security of the EU and its need to counter its role as ineffectual bystander during the war explains much of its human rights-focused approach to memory policies and practices, even at the expense of the ontological security of the Bosnian people. This helps explain why they can also be met with resistance that ultimately deepens antagonistically nationalist framings of the past. By contrast, when human-rights based transnational discourses align with the agenda and values promoted by nation-level policymakers, they are welcomed by the latter as helpful props for the achievement of their own policy goals, as Birgitte Schepelern Johansen and Thomas Brudholm demonstrate in their account of the mobilisation of Holocaust memory in campaigns against hate crime. However, transnational memory discourses can also be experienced as a threat to “mnemonic security” (Mälksoo 2015) both by politicians and conservative constituencies within states who see the cornerstones of group identity called into question by, for example, the demand that the nation come to terms with past crimes (Zarakol 2013). The need to pay attention not just to policymakers but to social constituencies is affirmed also in the contribution by Valérie Rosoux, which addresses the reasons for divergent outcomes in France’s post-war negotiation processes concerning the legacy and memory of the past with Germany and more recently with Algeria. While the former resulted in a Treaty of Friendship in 1963, the latter reached an impasse, which should be explained primarily in terms of the domestic resistance of various social groups, “linked to the anger, grief, resentment, shame of guilt that have been passed on in family circles”. Both Maria Mälksoo and Sarah Maddison, in her contribution to this special issue, have proposed that such regressive counter-reactions to transnational memory discourses might be effectively managed through “the politics of agonistic mnemonic pluralism instead of the futile search for a mnemonical consensus” (Mälksoo 2015, p. 232). Such an approach to the administration of memory holds out the hope of encounters between transnational memory discourses, on the one hand, and national or local identities, on the other, that could avoid the defensive stance observed in Maddison’s and David’s contributions to this special issue. Such plurality and multiperspectivism does not equate, however, to a relativist position in which different memory communities simply get to have their say. Rather, as Cento Bull and Hansen (2016, p. 399–400) have argued, true agonism respects the emotional investments of such communities in particular memories and their attendant identity constructions, while also demanding of them that they recognise as valid the positions of others, ideally creating the conditions for a reflexive engagement with their own memory discourse. It is inevitable, and in no way diminishes from the value of this special issue, that the contributions raise a number of questions requiring further probing and attention as well as deeper theorising. This is especially the case as regards different modes of remembering, specifically the antagonistic, the cosmopolitan and the agonistic. As the Editors state in their Introduction, “the tension between antagonism and agonism” is recurrent throughout the volume, yet none of the contributions explicitly addresses the articulation between institutional levels and modes of remembering. To put it differently, can a pattern be discerned where we can associate specific levels of policy-making with particular approaches to memory policies? At a superficial level, it might seem that the answer to this question is relatively straightforward. Supranational institutions and organisations tend to foster a cosmopolitan approach to memory, while at state level there is still adherence to antagonistic stances and positive, heroic narratives of the past. Social movements and minority groups, on the other hand, especially at local level, are able to open up conflictual dynamics, contesting hegemonic memories in order to claim collective rights in the present. We have seen, however, how the contributions to this special issue belie such a simplistic representation in at least two ways. First, the alignment between governmental levels, civil society groups and modes of remembering is far from clear. Social groups and minority groups can adopt and promote antagonistic modes of remembering as much as agonistic ones, as shown in this volume by Rosoux in the case of French groups resisting a rapprochement with Algeria, and the author is not simply referring to the usual suspects, the Pieds-Noirs. State-level policy-makers, in turn, can themselves promote cosmopolitan practices and themes. Second, the picture is complicated by the fact that social groups and policy-making levels can adopt a particular mode of remembering yet reshape it to suit their specific needs and thus behave in very different ways. Thus, in Northern Ireland, as argued in the Introduction, an overarching cosmopolitan approach to memory work, promoted by the EU, leaves space for agonistic practices and modes, not least in a “national policy vacuum”. In Bosnia, by contrast, the cosmopolitan approach is reshaped to suit antagonistic policies and practices by regional-level ethnic leaders. Grasping the wider implications of these and other case studies would bring us closer to understanding the articulations between how we remember the past, which socio-political agents and governmental levels promote certain approaches to memory, and the reasons why they do so. Another set of questions concern agonism itself. While this approach is increasingly being advocated for post-conflict as well as settler colonial societies, not least in this special issue, the issue of agency, especially as regards policymakers, and that of the kind of policies this approach would entail remain unclear. As Sarah Maddison herself points out in her contribution, the Australian government understands reconciliation as closure, as the restoration of a consensual society and has “sought to use the administration of memory to […] close down space for ongoing political engagement”, refusing to address the issue of material reparations. Similarly, as Tambakaki (2012) has pointed out, both peace-building theorising and international policy-making acknowledge “dissent and contestation with the aim of securing reconciliation or ‘harmony of selves’”, whereas “agonistic theorists emphasise dissent, critique and contestation, with the aim of securing political openness”. It is difficult to envisage either the international or the state level switching to promoting an approach that deliberately forgoes closure in favour of ongoing contestation and acknowledges the need for material as well as symbolic reparations for past injustices without the concerted efforts of a diverse coalition of socio-political and cultural agents. It is not simply a question of post-conflict or settler colonial societies though. The contribution by Schepelern Johansen and Brudholm on linking the memory of the Holocaust to present-day campaigns against hate crime, highlights the relevance of this issue also for established and relatively undivided societies. The dilemma they discuss is an important one for understanding the wider relevance of how we remember in relation to politics and policy-making. 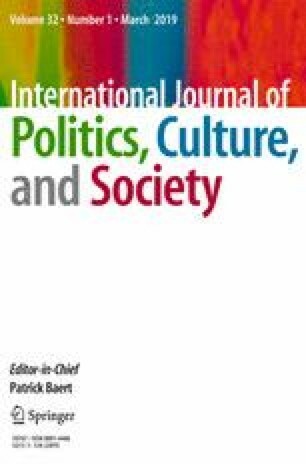 The authors ask themselves whether we should remember the past with all its complexities and ambiguities, as well as political struggles and power inequalities, or whether we should instead opt for a strategy “where ambiguities and complexities are traded for a univocal moral lesson” which aims at mobilising people to action. While the conclusion to their piece tends to veer in this second direction, their discussion shows how this strategy ends up putting the onus of action upon social individuals and groups, obscuring the role of state actors. Indeed, we would add that such an agenda relieves policy-makers from having to address structural inequalities and material injustices. While ostensibly promoting individual and collective political mobilisation as well as governmental intervention, this approach instead reinforces what Mouffe (2005, p. 58) has defined as “the increasing moralisation of political discourse” and confirms her argument that “politics is now played out in the register of morality”, whereby the “‘good democrats’ who defend the universal values of liberal democracy” are pitted against the “‘evil extreme right, racist and xenophobic, which must only be ‘eradicated’”. For the reasons outlined above, for the present agonistic memory is less a consistently applied policy approach than an intimation of a potential inherent in often marginalised practices (Aggestam et al. 2015), or emerging at certain moments within otherwise non-agonistic approaches to representing the past (Cercel 2018). The identification of such moments of agonism and the exploration of their potential in memory practices as diverse as artistic creation, museum-making and the exhumation of mass graves has been key to the EU-funded Horizon 2020 research project Unsettling Remembering and Social Cohesion in Transnational Europe (UNREST) (www.unrest.eu), but much work remains to be done in terms of operationalising agonistic approaches at multiple levels, from national and transnational civil society activism to state-led policy and the frameworks provided by regional organisations such as the European Union. The contributions in this special issue offer many starting-points for further research in this regard, above all by revealing the complexity of the relationships between these different levels and reminding us of the need to explore that complexity as a pre-requisite for the identification of meaningful applications of the concept of agonism.